Assassin’s Creed Origins, Ubisoft’s upcoming entry in the world-conquering Assassin’s Creed franchise, is coming later this month. And to say this is an eagerly-anticipated game would be an understatement, as Origins is the first major entry in the series since 2015’s slightly disappointing Assassin’s Creed Syndicate. And the trailers and gameplay videos released so far suggest that at least this will be a phenomenally good-looking game, with Origins’ ancient Egyptian setting looking fantastic in preview videos. Of course, it’s the gameplay that will make or break this new instalment in the Assassin’s Creed franchise. And in an interview with video game outlet Gamereactor this summer, Assassin’s Creed Origins’ game director Ashraf Ismail explained how Ubisoft set out to improve on the earlier Assassin’s Creed IV: Black Flag, one of the best games in the series so far (which Ismail also directed). Actually, Black Flag let you explore the 18th century Caribbean and live the life of a pirate, visiting iconic locations such as Kingstown and Havana. The game also boasted superb gameplay with a good main story and side activities to engage in, making it one of the series’ highlights to date. 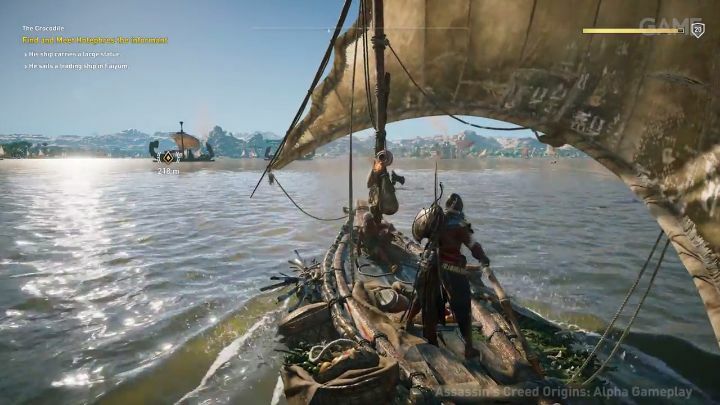 Yet game director Ashraf Ismail still thinks Black Flag did not get everything right, and is looking to improve on Assassin’s Creed gameplay formula in the upcoming Assasssin’s Creed Origins. “When we started this project it was right after Black Flag, it’s been four years. And we had this intention to create an authentic AC experience but drastically reinvent that experience. And when we talk about reinventing an experience we are talking about narrative structure, gameplay, the way our players consume the content, the way it’s represented to them… It’s really fundamental stuff”, said Ubisoft’s game director. Will exploring ancient Egypt be a great experience in Ubisoft’s Assassin’s Creed Origins? Speaking about the game’s tombs, the Ubisoft man highlighted that Ubisoft is pulling out all the stops to make sure exploration and discovery are something special in Assassin’s Creed Origins. “One thing we wanted compared to Black Flag was, in Black Flag we felt that we nailed something with exploration, but the sense of discovery, for me, wasn’t strong enough. We needed to push discovery”, said Origins’ game director. “And so when we started this project, that was a key word for us. It’s not just exploration, it’s also discovery… When you got explore a place, you should feel rewarded, that you’ve discovered something. That something should have gameplay value, should have narrative value, it should mean something to Bayek”, added Ismail, referring to Assassin’s Creed Origins Egyptian protagonist Bayek. So, hopefully this means Origins will offer a great gameplay experience and that exploring ancient Egypt will be as much fun as exploring the Caribbean in 2013’s Black Flag was. 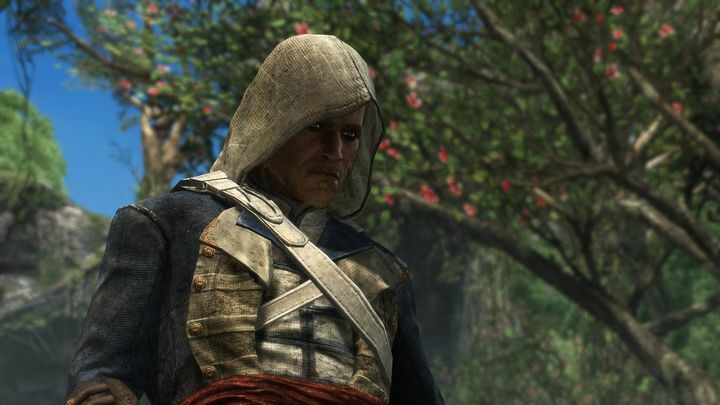 But since the game’s release is only a couple of weeks away, soon we will find out whether Ubisoft has created a game on a par with their 2013 pirate-themed hit, or this turns out to be another disappointment like 2014’s ill-fated Unity was. Here’s hoping, though, that Ubisoft has gotten the formula right this time and that Assassin’s Creed Origins turns out to be the return to form for the series that fans of the franchise are hoping for when it ships this fall.